You're the conductor of the Titanic's band, and your ship has just had a close encounter with an iceberg. 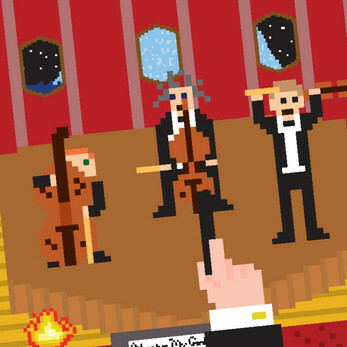 Keep your panicking string trio in check while the ship devolves further and further into chaos in the one-button rhythm game. Created in one week as a Prototype Studio project. Credit to Elliott Walker for the music.